I have so appreciated all the kind comments on my last few finishes. Thank you kindly! 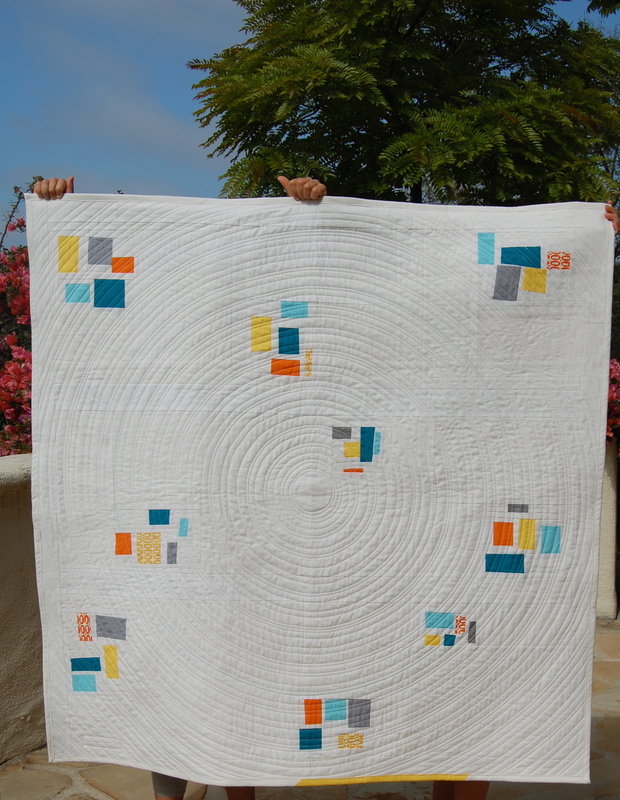 After I posted my Passing Showers Quilt, I recieved not only lovely comments but many questions as well, about how I make my concentric circle quilting lines. 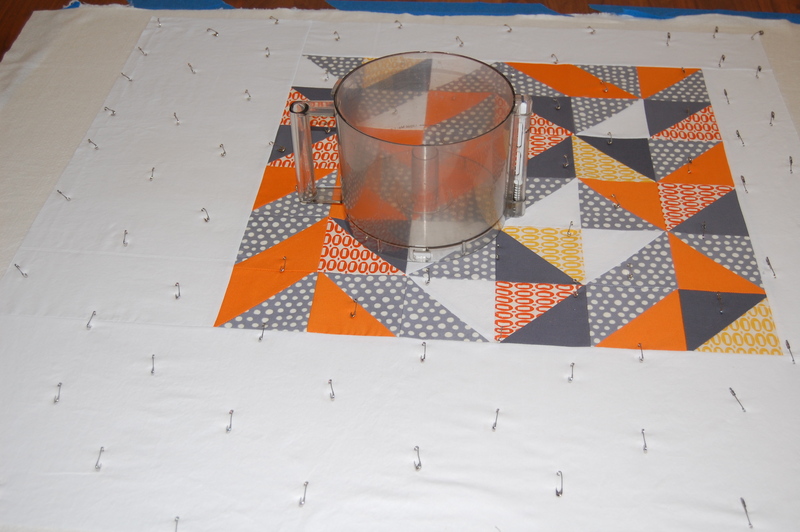 I was able to put together a little tutorial on my “food processor” method(hehehe- makes me chuckle) for making concentric circular quilting lines! I hope you find it helpful. Happy quilting! Forgot to say… using the food processor bowl for this purpose is genius! Great idea using the food processor bowl, makes sense to me! Love, love, love the orange, gray and yellow block ~ it’s wonderful and my most favorite colors! Amazing tutorial! Thanks for reading.